Bhagat Singh - Bhagat Singh's name is first mentioned in the list of the most influential revolutionaries of the Indian independence movement. This name knows the whole world. Whenever we think of those martyrs who sacrificed their lives for the country's independence, then we can take the name of Bhagat Singh with great pride. At the age of 23 he was hanged with Rajguru and Sukhdev. And at the time of his death, he kissed the hangman's trumpet and welcomed death with happiness. Since then, Bhagat Singh has remained the inspiration for youth of the country. 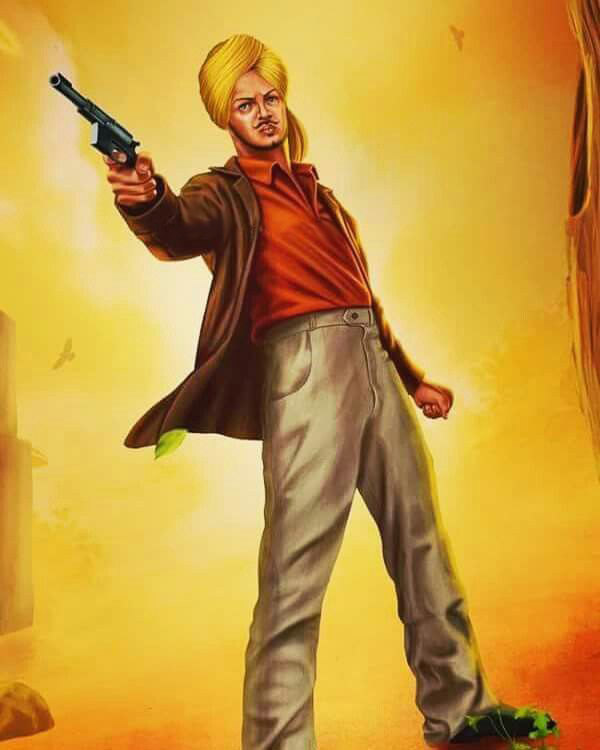 Bhagat Singh (Sandhu Jat) was born in 1907 to Kishan Singh and Vidyavati in No. 105, GB, Banga Village, Jarnwala Tehsil, Lyallpur District, Punjab. He was born at the time when his father and his two uncle were released from jail. His family members were learned, some of which were actively involved in the Indian independence movement, and the rest of the Maharaja used to serve the army of Ranjit Singh. The village of Bhagat Singh's ancestor was a Khatkar Kalan, which was only a few distances from Nawashahar, Punjab (now its name changed to Shahid Bhagat Singh Nagar). His family was politically active. His grandfather Arjun Singh was a follower of Dayanand Saraswati in the campaign for the reconstruction of Hindu Arya Samaj. It had a great effect on Bhagat Singh. Bhagat Singh's father and Chacha Kartar Singh and every Dayal Singh were also members of the Ghadar Party being run by them. Arjit Singh was exiled to various legal litigation due to Sue Singh's death in 1910 after being released from prison in Lahore. In 1919, when he was only 12, thousands of unarmed people were killed in Bhagat Singh jalliyanwala Bagh. When he was 14, he was one of those people who used to kill the British to defend themselves or to protect the country. In 1923, Bhagat Singh joined the National College of Lahore, where he participated in other activities as soon as he took part in the dramatic society (Dhongi Samaj). In 1923, Punjabi essay organized by the Punjabi Hindi Sahitya Sammelan won essay competition, in which he wrote about the problems of Punjab. He was very inspired by Italy's Giuseppe Mazzini campaign, and in view of this, Bhagat Singh founded the Indian National Youth Association in March 1926 in the Naujawan Bharat Sabha. Later Bhagat Singh joined the Hindustan Republic Association, which had many brave leaders like Chandrashekhar Azad, Ram Prasad Bismil and Shahid Ashfullah Khan. Given the influence of Bhagat Singh on the youth, the police took Bhagat Singh into custody in May 1927, saying that he was involved in the Lahore bomb blast in October 1926. Five weeks after being arrested and released, he was released on bail. Bhagat Singh was also writing for Urdu and Punjabi newspapers selling in Amritsar and his editor was also. And these newspapers were published in the New India Bharat Sabha in which the British had drawn the skins. Kirti also used to write Kisan Party newspaper for Kirti, as well as Veer Arjun, published in Delhi, also wrote for the newspaper. Most of his articles used the name Balwant, Ranjit and Rebel. Bhagat Singh wanted to take revenge of Lala Lajpat Rai's death . Bhagat Singh killed 17th December 1927 British police officer John Saunders. The police made many unsuccessful attempts to capture Bhagat Singh and he always failed to catch Bhagat Singh. After some time, Bhagat Singh along with Batukeshwar Dutt throws two bombs and a letter on the Principal Law House. Where they both got caught according to their plans. Where he was sent to jail on charges of murder, and when Bhagat Singh announced 116 days fast for the sake of equal rights to the European prisoners, he got the help of the entire nation far away. The British officers submitted enough evidence against him and keeping his appeal in the High Court of England, Bhagat Singh was sentenced to 23 years of short life sentence. This sacrifice of Bhagat Singh inspired Indian youth to fight for freedom of the nation. And even today many young people consider them to be their ideal. 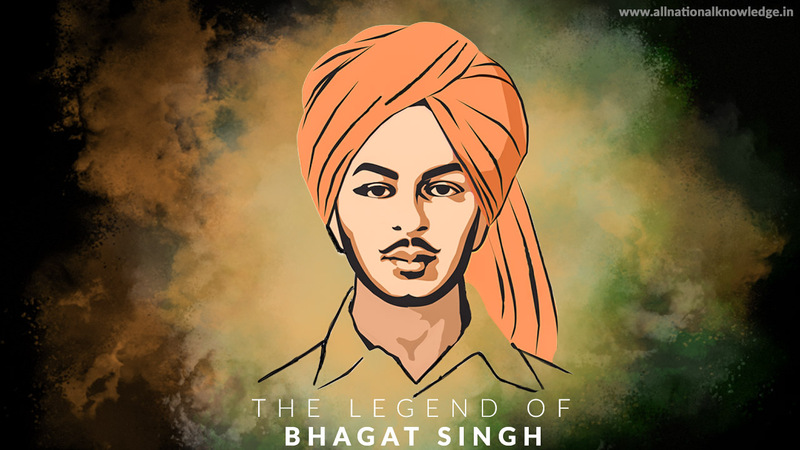 From childhood, Bhagat Singh was the inspiration for nation service. He always opposed the British Raj. And the age at which they had to play was a revolutionary movement at that age. We will find many stories of Bhagat Singh's bravery in history. Bhagat Singh had established "National youth organization" in his college days. After the birth of Bhagat Singh, her grandmother named her name 'Bhago Wala'. Which means 'good fortune' He later became known as 'Bhagat Singh'. Bhagat Singh did not agree with Mahatma Gandhi's policies of non-violence. 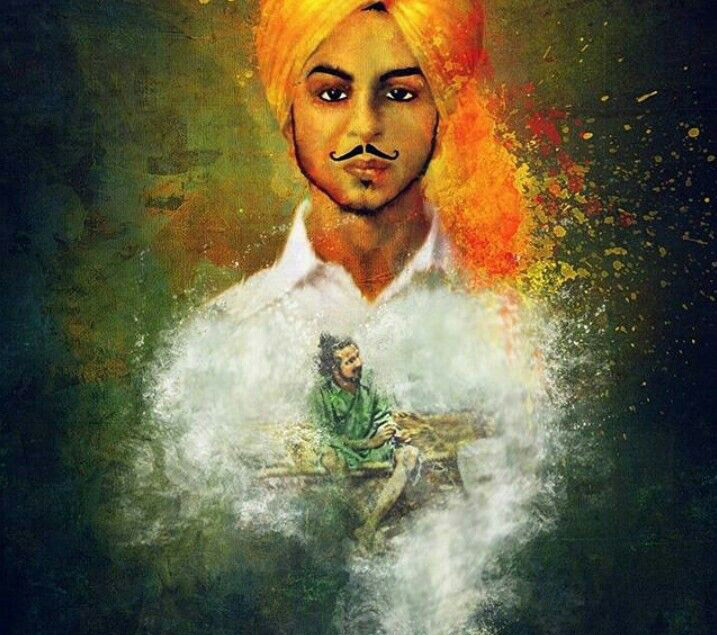 Bhagat Singh felt that freedom can not be obtained without arms. When he passed the Intermediate examination in 1923, then his parents were planning to marry him. So they left the house and fled and said that now freedom will be my bride. Written by Bhagat Singh, Pandit Chandrashekhar Azad, his party got involved with the "Hindustan Republican Association", in which 4 revolutionaries were sentenced to death, including Ram Prasad Bismil in Kakori Kand. Bhagat Singh together with Rajguru, on 17 December 1927, the British officer, J. P. Sanders was killed. Bhagat Singh had teamed up with Sukhdev to kill the Superintendent of Police James Scott in Lahore but had killed John Saunders (Assistant Superintendent) due to the misidentification. On April 8, 1929, Bhagat Singh, along with his colleagues, threw bombs at the Parliament House of the Central Assembly of the British Government. Seeing the growing riots of Hindu Muslims, Bhagat Singh declared himself an atheist. Bhagat Singh used to receive Bengali, besides Hindi, Urdu, Punjabi and English. Before going to the gallows, he was reading Lenin's biography. His last wish was that he should be shot, but the British government made his point of view. Bhagat Singh was to be hanged on March 24, 1931 but due to the fear of revolt, the British hanged him on March 23, 1931. It is a coincidence that the hanging day was also 23 and at that time Bhagat Singh was also 23 years old. While going to the gallows, the three Bhagat Singh, Rajguru and Sukhdev were singing with fun.